GraceConnect has been alerted to an urgent need for personnel at the Chateau of Saint Albain in France (welcoming, cooking, maintenance, etc.). Would you please pray for this? “Our urgent need is to replace Bob and Lisa Keiffer, who will be leaving the Château in December, 2014, after two great years of service,” says Dave Hobert, long-time missionary. “We do not have any firm replacements for them yet, and without this needed position, the Chateau leaders will need to make drastic changes, perhaps even closing the Château doors until we can build the team back up.” This could be a one- or two-year commitment. The Château in St. Albain, France is a Christian retreat center that hosts church groups, youth events, Biblical training seminars, outreach events, family retreats, etc. It serves mostly French groups, as well as a few from Germany, and some international groups. They are looking for people who are willing to work hard, who have practical skills (cooking, cleaning, maintenance, yard work), are willing to be flexible, and have a desire to serve in a support role to the ministry in Europe. The staff is a multinational team, with Europeans providing the leadership and the US providing part of the support staff—a support couple as well as interns from time-to-time. The Château not only provides a location for Christian organizations to host their events, but also organizes a dozen or so events itself, ranging from Christmas outreach events to Biblical training weekends. Since France has one of the lowest percentages of Evangelical Christians in the world (1/30th the percentage of Christians in the United States), the Château serves the vital role of providing a location where Christians can spend time together, learn from each other, and develop friendships and partnerships that further God’s work in France. 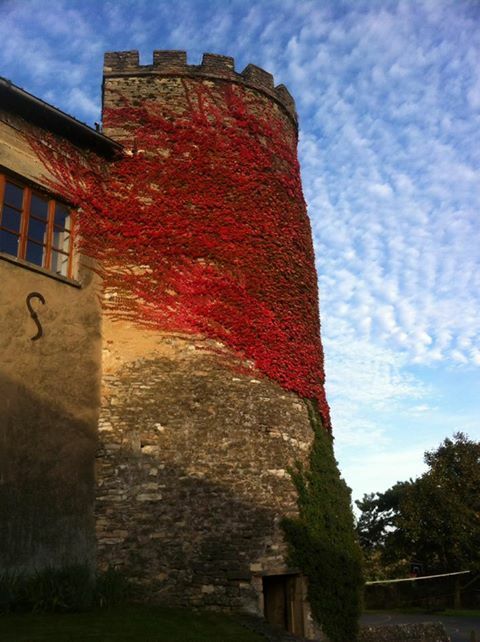 Although the Château is located in a very small town, you won’t feel isolated. The Mâcon Grace Brethren Church is a 15 minute drive from the Château, and they are very welcoming to new workers from the Château. The church has long been involved in the Château ministry, and has several English speakers, so even though the services are in French, you will be able to communicate with several of the people there. Two people are needed—ideally a married couple, but two single people may also submit an application together. So if you’re single, and this looks interesting, start trying to convince a friend to join you! Couples/individuals seeking to partner with us through this opportunity should be committed to being sent by their local church, will have had a positive short-term missions experience, and are committed to the Gospel. • One of you needs to be willing to learn how to do the cooking for large groups – usually for around 40 people, but up to 70 at times. A handbook is available that will help you with planning, shopping for, preparing, and serving the meals. How Much: This is a support based position that requires support raising. Support package includes travel to and from Chateau, housing, ministry budget, and a living stipend. Click here for a downloadable pdf with more information. Next Steps: To learn more about this opportunity and how you could spend a year or two serving cross-culturally in Burgundy, France contact John Ward or Christa Robles.